Our staff is here to meet your needs. Let us introduce you to our TalentBridge team. 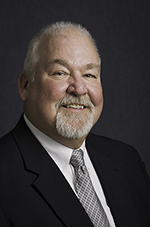 Mike brings over 30 years of experience in the staffing industry to his role, as Executive Director of TalentBridge. Previous leadership positions have included Chief Operating Officer, Vice President and President within regional and international staffing organizations. Mike’s strong background in management, sales and development, combined with his established network, has allowed him to effectively introduce TalentBridge to area business and community leaders. Mike’s role in connecting our service offering with Goodwill’s Workforce Development mission has been the cornerstone in establishing TalentBridge as a talent acquisition partner of choice to many of the area’s leading employers. Born and raised in Milwaukee, Wisconsin, Mike attended St. Francis De Sales High School and St. Francis College where he received his degree. Mike is an avid participant in the community with his ties to Future Milwaukee at Marquette University. 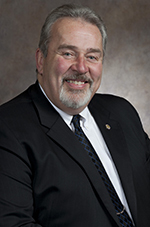 Additionally, he is a member of the Executive Advisory Council of Marquette University College of Professional Studies; and Chairman of the Milwaukee Rotary Community Leadership and Development committee. In 2013, Mike was honored as the recipient of Marquette University’s College of Professional Studies “Friend of the College” award. Suzanne is the Managing Director of Professional Services, with operational accountability for the services TalentBridge provides, in the administrative, professional and clinical sectors. She also leads our business development team, which is responsible for establishing customer partnerships. She has 25 years of experience in consultative sales, client management, talent acquisition, training/ development and leadership. She managed multiple regions and built new practice areas for an international recruiting firm and a regional provider of staffing solutions, prior to joining TalentBridge. She’s also held consultative sales and client management roles within the technology and information services industry. Suzanne built a team of Recruiting Consultants and Business Development professionals who focus on designing client centered solutions to help our customers meet their business objectives. She brings a strong foundation in strategic planning, talent acquisition and client development to her role. Suzanne holds a Bachelor’s Degree from the University of Wisconsin – Madison. 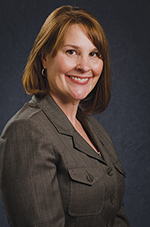 She is a member of TEMPO Milwaukee and HRMAC, the Human Resources Management Association of Chicago. Bev is the Managing Director of Industrial Services, with operational responsibility for all of TalentBridge’s activities, in the manufacturing sector. Bev brings nearly 30 years of staffing, operations, training and management experience to her role. Throughout her career Bev has managed teams of talent acquisition professionals, building staffing models to provide contingent solutions to a wide array of manufacturing and industrial organizations. Bev’s strong industry knowledge and training background are vital in creating effective orientation and on-boarding programs for our clients. With attention to compliance and safety always top of mind, Bev has been able to hire and retain talented Recruiting Consultants who share that focus. 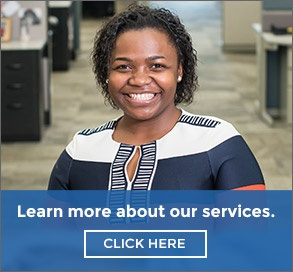 As the operational leader of our manufacturing practice, Bev’s ability to create customized staffing and recruiting models for our clients, has helped establish TalentBridge as an employer of choice, in the markets we serve. 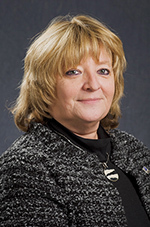 Bev attended Milwaukee Area Technical College. 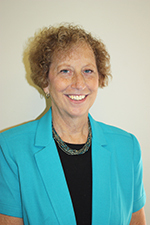 She is a member of HRMAC, the Human Resources Management Association of Chicago. Mark joined the TalentBridge team as a Business Development Manager in 2013. He brings over 25 years of experience in manufacturing and leadership to his role, as well as experience as an elected official, in the state legislature. Mark left his role as a Wisconsin State Representative for the Oak Creek, Franklin and South Milwaukee areas after 10 plus years of service. Throughout his career, Mark has had a strong interest in workforce development and creating opportunity, particularly in the manufacturing sector. As a Business Development Manager for the TalentBridge team, he interfaces daily with area organizations, to help them create effective talent acquisition solutions. In his role as Business Development Manager for TalentBridge, Andy Kobeski focuses on partnering with organizations in northern Illinois and southern Wisconsin to provide them with talent acquisition solutions. Andy has over 15 years of experience in a variety of consultative sales, recruiting and management positions, within the staffing and recruiting industry. With his strong background in client relationship management and human resources, he is able to partner with organizations to help design effective solutions. Andy is a board member of NISHRM, the Northern Illinois Society of Human Resources Managers, co-chairing the NISHRM Marketing and Membership Committee. 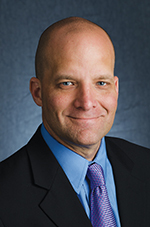 He is also an active member of HRMAC, the Human Resources Management Association of Chicago and RAMAC, the Racine Area Manufacturers and Commerce association. He attended Southern Illinois University. 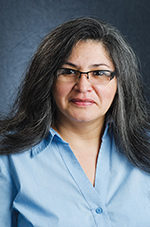 Cindy joined the Gurnee, IL TalentBridge team, in 2014, as a Senior Recruiting Consultant. She brings broad experience in human resources and talent acquisition to her role with TalentBridge. Cindy’s background includes human resources leadership roles, employee relations work and recruitment within the healthcare sector. Her focus at TalentBridge is on creating talent acquisition solutions for our northern Illinois and southern Wisconsin clients. 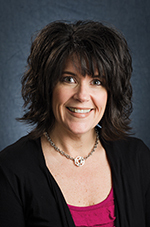 Cindy holds a Bachelor’s Degree in Business from Western Illinois University. 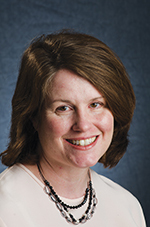 Melissa Benning is a Senior Recruiting Consultant focusing on placing administrative and professional candidates. She brings over eight years of executive level staffing and recruiting experience to her role, having focused in the areas of Accounting/ Finance, IT, Engineering, Human Resources, Office Administration and Executive Support. Melissa’s large network and direct recruiting experience help her achieve strong outcomes for her clients. Her client development skills have allowed her to create effective and efficient recruiting plans for the organizations she partners with. 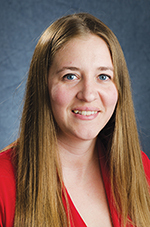 Melissa is a graduate of the University of Wisconsin – Eau Claire, with a Bachelor’s Degree in Business Management. She has completed AIRS training and is skilled in a variety of search technologies. Jenny Dietlmeier is a Senior Recruiting Consultant focusing on placement in the manufacturing sector. She brings more than 15 years of experience to her role, having worked for both international and regional staffing and recruiting firms. Her strong client management skills, industry knowledge and broad employee relations background help her to effectively match employees to employers and manage ongoing contingent staffing needs. Jenny has expertise in the areas of skilled manufacturing, high volume recruiting and project management. She is also the team lead for TalentBridge’s Milwaukee industrial practice. Jenny studied at Milwaukee Area Technical College. Sonia is a Senior Recruiting Consultant, bringing over 13 years of experience to her role with TalentBridge. She has expertise in the manufacturing, healthcare and education sectors, having focused primarily on recruitment and placement for production, environmental services and food service roles. She has also worked as an on-site manager at one of the area’s largest manufacturers, having accountability for high volume recruiting and employee relations for a large, contingent workforce. Sonia is bilingual in Spanish. Heather Sechler brings eight years of recruiting, client development and management experience to her role as Supervisor of Talent Acquisition for TalentBridge. Her background includes recruitment process outsourcing, on-site talent acquisition, traditional contingent staffing and direct placement. She has worked with clients across industries, but has focused heavily in the healthcare and banking/ finance sectors. Heather’s outstanding client development skills have been essential in forming strong partnerships and creating effective talent acquisition solutions for the organizations she partners with. She manages a team of Recruiting Consultants to provide our clients with effective recruitment and retention strategies. 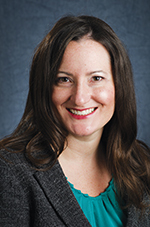 Heather is a graduate of Marquette University Business School, holding a Bachelor’s Degree in Human Resources. In her role, as TalentBridge’s Recruiting Manager, Katie is responsible for establishing and maintaining connections with a variety of internal and external recruiting sources. She coordinates our online postings and social media presence. Additionally, she assists our Recruiting Consultants, in developing and executing on client specific talent acquisition strategies. Katie brings over 20 years of staffing and client management experience to her role with TalentBridge. Jill brings over 20 years of client development, project management and talent acquisition experience to her role as Senior Recruiting Consultant, at TalentBridge. She is the team lead for a major educational organization, partnering with them to provide administrative and clinical employees on a large scale. She is skilled in the areas of employee relations, project management, recruiting and employee orientation/ on-boarding. She has designed effective talent acquisition strategies for organizations with both direct, professional placement and high volume, contingent staffing needs. Jill is a graduate of the University of Wisconsin – Madison, with a Bachelor’s Degree in Communications. 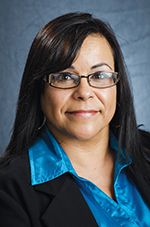 Elizabeth Villalobos is a Supervisor of Talent Acquisition, managing a team of Recruiting Consultants who support several of our key manufacturing clients. She brings 9 years of experience in staffing and recruiting to her role, developing talent acquisition and placement strategies in the southeastern, WI market. With previous experience in on-site workforce management for several large manufacturing clients, she has expertise in employee relations, high volume recruiting and project management. Her client development background has been vital in launching a number of successful customer partnerships. 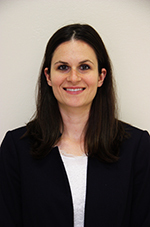 Elizabeth studied at the University of Wisconsin – Parkside, and is a member of HRMAC, the Human Resources Management Association of Chicago. She is bilingual in Spanish.